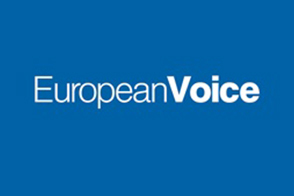 Brussels, 10 July 2014 – The Joint Transparency Register has made the public affairs sector more open, but there are limits to what it can achieve. The European Union’s flagship measure for controlling how stakeholders participate in the legislative process is the Joint Transparency Register, a public database jointly run by the European Parliament and the European Commission. Anyone seeking to influence EU decisionmaking directly or indirectly is expected to register but not obliged to do so, as would be the case in the United States (see right). The register casts its net wide, including not only public affairs firms, trade associations and business lobby groups, but also consultancies, non-governmental organisations and trade unions, as well as event organisers and respondents to Commission consultations. Those who register are asked to give an insight into the money they spend on lobbying activities and how many people they employ in Brussels. The register, lobbyists agree, has done a lot to make the public affairs sector more transparent. “You now know who is working for who,” remarks one lobbyist. That is true only up to a point: the register has its limitations. Because participation is voluntary rather than mandatory, it is possible for individuals and organisations to stay off the register. Secondly, the information on the register does not come with a guarantee of accuracy. The EU institutions examine the entries, but they lack powers to verify the information provided. Transparency International has called for the register to be made mandatory and extended to include the Council and for it to be backed by “genuinely dissuasive sanctions”.